Great for 2nd, 3rd, 4th! Centers, early finishers or independent work while you lead small groups or complete assessments! 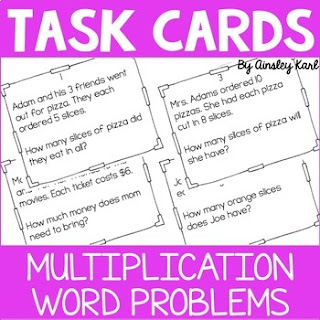 I use these cards in my resource room- while I work with a small group other students independently complete these cards. No multiple choice is given. This allows me to better understand students thinking and see what they are having trouble with versus simply guessing a,b or c.
Follow my store for more math cards and freebies!